Myrtle Beach is known as “The Golf Capital of the World” and for it to that distinction it takes “ Movers and Shakers”. Mike Buccerone is definitely one of those. Mike is the general manager at Rivers Edge in Shallotte, North Carolina as well as being one of two partners in East Coast Golf Management, a company that manages and markets golf courses in North Carolina and South Carolina. Rivers Edge has consistently received high ratings from Golf Digest (4 ½ stars, listed 62 in Best Courses You Can Play). It is a very scenic course that borders the Shallotte River and offers a great challenge. East Coast Golf Management manages or has a marketing cooperative with 24 golf courses at this time. 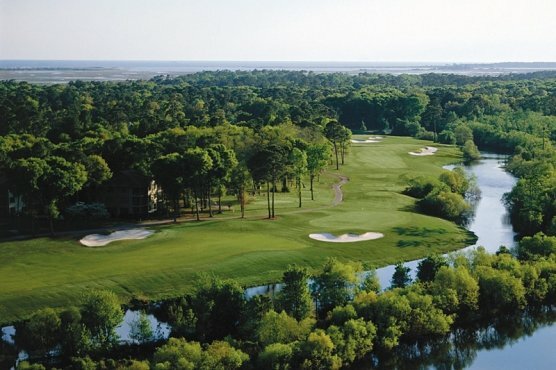 Out of the 24 golf courses under the East Coast umbrella, four courses have been awarded the title of ‘Myrtle Beach Golf Course of the Year” Indian wells (2004) Burning Ridge (2006) Sandpiper Bay 92010) and Founders Club at Pawleys Island (2011). Burning Ridge was also awarded “South Carolina Golf Course of the Year”. East Coast Golf is headed by President Mike Buccerone, Vice President Chuck Hutchinson and Director of operations Dave Harbaugh. Mike Buccerone was born in Washington Township, NJ where he started playing golf his junior year in high school and loved the game. He attended college at Flagler University in St. Augustine, Fla., he then transferred to Methodist University in Fayetteville, NC. His degree in business administration has a concentration in professional golf management. From college he went to Wild wing Plantation in myrtle Beach, SC., where he started as an intern in in 1994 and became the first assistant professional and merchandise manager in 2000. After Wild Wing, Mike went to the renowned Broadmoor Golf Club in Colorado Springs, Colo., ( a five-star, five-diamond resort), to be the first assistant professional and merchandise manager. From there he came back to Myrtle Beach to be the Director of Golf at Grand Dunes Resort. While at Grand Dunes, Mike won the PGA of America National Merchandiser of the Tear Award. In 2009, the National Golf Course Owners Association named Grand Dunes the National Golf Course of the Year. Mike says that his favorite thing about living at the beach is that it offers a mixture of weather. Being from the northeast he appreciates having some climate changes. He also likes the fact that golf can be played almost every day of the year and the people here are great. When asked about his favorite golf courses Mike said he has two. He likes Harbour Town Golf Links in Hilton Head because it is not too long but it requires all shots. The 18th hole is a great finishing hole. The other favorite course of his is Pine Valley in New Jersey. Pine Valley is a very exclusive club and he had the opportunity to stay and play two rounds there. He says that not only was it the greatest caddie experience he has had but probably the greatest golf experience. Mike’s favorite sports teams are the JETS, JETS, and JETS, the New Jersey Devils and the NY Mets. Mike says his favorite restaurants here at the beach are Umberto’ at Barefoot for Italian and Logan’s for a great steak and “roadhouse” tea. Mike says “ the beach is a melting pot of people that come from ever where and they all seem to have the common goal of working together for the betterment of the Myrtle Beach area. The changes he has seen since 1994 are amazing”. In addition the being awarded the 2008 PGA National Merchandiser of the Year, Mike was awarded the 2012 SC Employee of the Year. Mike is a very busy man and he says that he would like to expand East Coast Management, start his own family and travel overseas. With all that he has going on he still tires to take time to enjoy playing golf, boating and traveling. The Myrtle Beach area as well as the Myrtle Beach golf community is very lucky to have such a dynamic person that is so involved in promoting the area and helping grow the game of golf.